In our series of letters from African journalists, Yousra Elbagir looks at how some Sudanese women are turning to black market substances in their quest for beauty. While skin bleaching is a long-standing cosmetic staple across Sudan, a newer craze is sweeping the nation. Many young women are turning to prescription pills in order to gain weight, and hopefully gain the curvaceous figures they see as the standard of beauty. Away from the regulation of trained pharmacists, fattening pills are illegally dispensed by the same small shops which sell topical bleaching creams and other popular beauty fixes. Sold individually, in small bags and emptied sweet containers, they are completely devoid of any information about medical risks. It is difficult to estimate how many women in Sudan use these products to gain weight, because many are reluctant to admit to it. 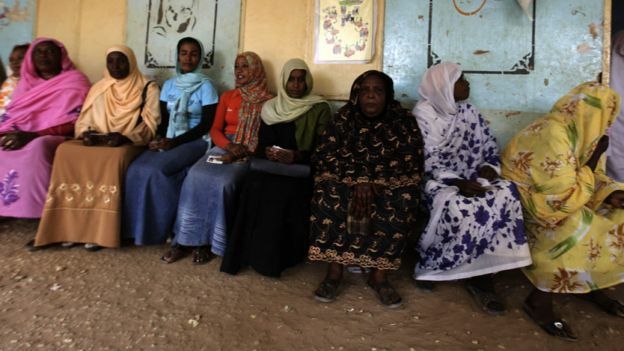 “Pills are handed out in the village like penny sweets,” says Imitithal Ahmed, a student at the University of Khartoum. “I’ve always been scared [to use them] because I’ve seen family members fall ill and close friends become dependent on appetite stimulants. “My aunt is on the brink of kidney failure and has blocked arteries from taking too many fattening pills, trying to get a bigger bum. Pills are often rebranded and given catchy street names which allude to their effects. 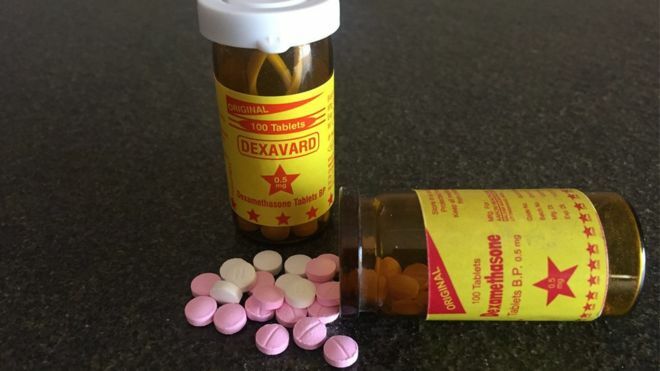 From The Neighbours’ Shock to Chicken Thighs and My Mama Suspects, the clinical name of pills are forgotten and replaced by promises of a bigger bottom, shapely thighs and a belly that will have your mother concerned that you might be pregnant. Tablets range from standard appetite stimulants to allergy medicines containing the steroid hormone, cortisone. The side-effects of taking cortisone are now a cash cow for pill peddlers. It is known to slow the metabolism, increase appetite, trigger water retention and create extra deposits of fat around the abdomen and face. Using unregulated steroids without supervision can damage the heart, liver, kidneys and thyroid, says Dr Salah Ibrahim, Head of the Pharmacists’ Union in Sudan. He explains that cortisone is a naturally occurring hormone in the body, helping to regulate vital bodily functions. But when a man-made, concentrated version enters the body in the form of pills or topical bleaching creams, the brain gives the body a signal to stop production. If a user suddenly stops taking the substance, their major organs can spiral into dysfunction. Young women in Sudan are dying from kidney and heart failure caused by sudden steroid withdrawal, medical professionals say. Fatalities are especially common among new brides, who traditionally undergo a month of intense beautification before their wedding day and then abruptly stop using fattening pills and steroidal bleaching creams. Their deaths are put down to sudden organ failure. Yet these horrifying beauty trends continue to gain traction. Prescription pill abuse is taking off in Sudan’s conservative society, partly because it lacks the social stigma and pungent, giveaway odour of alcohol and cannabis. University students flock to buy the potent painkiller Tramadol, which is sold for 20 Sudanese pounds ($1; 80 pence) per pill. Some of Khartoum’s roadside tea-sellers are even known to drop the painkiller in a cup of tea, upon a coded request. Awareness campaigns have so far had very little impact. Dr Ibrahim, Head of the Pharmacists Union, has made numerous appearances on national television to warn of the dangers of prescription pill abuse. At university level, pharmacists are taught vigilance and trained to act in keeping with ethics and pharmaceutical law. But in a country where pharmacists and doctors are paid very little, the temptation to sell pills to illegal vendors is overwhelming for some. “Last time I went to the beauty shop I go to for my creams, the shop owner brought out a chocolate box full of different fattening pills,” says Ms Ahmed, the Khartoum student. Police may arrest traders and block smuggling routes, but the profits for rogue pharmacists keep growing regardless. Fattening pills are poured into the black market, deemed to be the lesser evil. Sudan isn’t the only African society where being overweight is a symbol of prosperity and power, boosting the “marriageability” of young women. But in this country, it embodies an ideal. It defines the ultimate Sudanese woman – full-bodied and light-skinned – epitomising beauty and coveted as a wife. 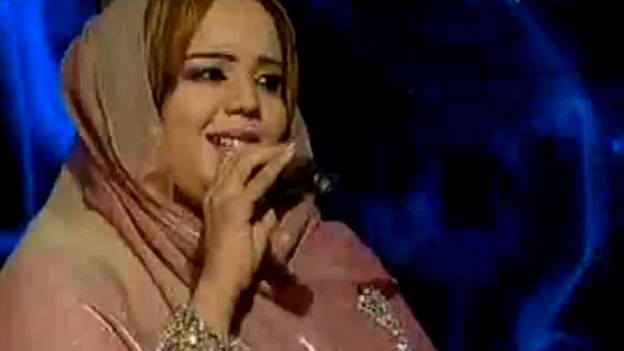 The iconic status of Nada Algalaa, a Sudanese singer whose looks are widely praised and emulated, is testament in itself. For some women, it is an ideal to be acquired by any means necessary. This entry was posted in Africa, Health, Science, World by rolyred. Bookmark the permalink.